Enjoy a wildlife-filled Christmas with your local Wildlife Trust – events, gifts and parties! At this festive time of year, there’s plenty going on for you or the wildlife-lover in your life. Come to a party! Our local Branches are each organising a Christmas event in your local area, and we’re having an ‘open house’ at our Llys Garth headquarters on Wednesday 05 December. Pop into one and say hello! Shop for wildlife. NWWT’s online shop and Llys Garth office each stock a range of locally made and nature-themed gifts. And, if your friends and family have reached ‘peak stuff’, why not sponsor a species for them – or even make them Wildlife Trust members? Explore what’s available at www.northwaleswildlifetrust.org.uk/shop-wildlife. Make your own presents and decorations. 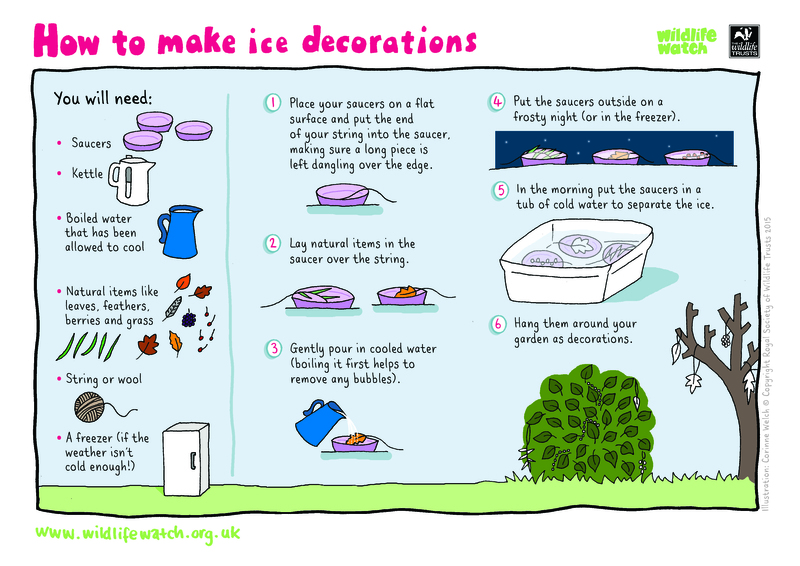 There are tens of family-friendly activity sheets available to download – everything from making your own Christmas wreath for birds to Ice Decorations for your garden. Whatever the weather, do something wild this winter!